It’s true, winter is here! The trend-watchers are gazing into their crystal balls again, and this time the question is: Where’s it all heading with cold-weather cuisine? First of all, every season has a color. And this winter, it’s… purple! We’re talking anything from beverages (The Republic of Tea’s Sonoma Cabernet Iced Tea) to beets to so-called Lotus Foods, such as purple potato and brown rice ramen. Our boldest Creamer yet—Something Blue—fits right in. Try: Crispy Purple Potato Pancakes or Roasted Chilean Splash Potatoes with Radishes, Fennel & Prosciutto, a delicious study in sharp-mellow contrasts. Combo creations along the lines of Tandoori Chicken Nuggets to Thai iced tea infusions are all the rage. Fusion is fun, flirty, and entertaining. Test the latest or make up some of your mash-ups. Try: Red Thai Curry Potatoes—exotic and not too spicy, with coconut milk, toasted coconut, lime, and our slightly sweet Blushing Belle Creamers. Try: The gorgeous, creamy-crunchy Vegan Roasted Veggie Thanksgiving Bowl or tangy Korean Potato Bowl. The format of the season is not only the bowl but also the cup. It’s cute, portable and convenient—why not? Fill it up and pack it to go. Try: Make a winter greens version of colorful Veggie-Loaded Summer Potato Salad Jars. Fun! Crumbled donuts on that milkshake? Nacho fries? Check. It looks like the pendulum is swinging back to the wild side. Take advantage of the over-the-top offerings. Try: Splurge on pistachio-sprinkled Potato Waffles and Pomegranate Molasses or primo party appetizer Spicy Bacon Wrapped Potatoes. From hemp to edamame, experts are advising us to add more protein to our daily meals because our bodies can’t store it. Protein is a bone, muscle and cartilage building block*, says WebMD. We also use it to repair and build tissue, and it’s a macronutrient our body craves. What we need is the right protein in the right amount. Try: Just about anything. Smooth, silky and satisfying, Creamers naturally pair well with protein. Make Turkey Pinwheels with Potato, Cheddar, and Apple—an appealing, non-traditional holiday twist. Buh-bye, juicing. Now, it’s “soup-ing.” Why? Soup is filling, high in nutrients, and has a good rep in with the detox crowd. It’s also pretty easy to make, freezes and reheats well—great for lunch, a first course or main event. Try: Winter-hearty, vitamin-packed Vegan Potato Soup with Beans & Kale and flavorful puréed Creamy Cashew Curry Potato Soup (vegan). Peppers, yes, but not just for fiery show—now it’s about flavor complexity. Get to know your peppers and use them as accents to your favorite dishes. Try: This French-Canadian-Mexicano combo: Jalapeño Popper Potato Poutine or zippy Homemade Tater Tots with Chipotle Mayo. Star chefs around the globe are jazzed about the traditional Mexican kitchen and are elevating the cuisine to new haute and artisanal fusion levels. Olé! Try: Tex-Mex Potato Grill Packets—quick, easy and zesty. People now realize what they buy impacts the world, and they’re making conscious pro-planet choices. 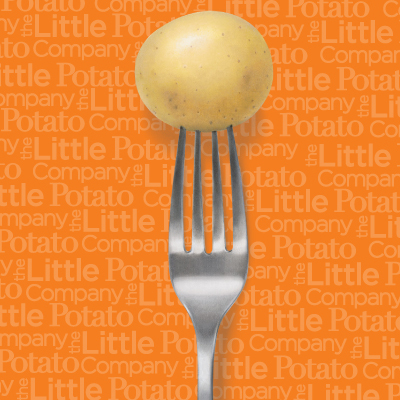 We’re on a mission to feed the world better with our heritage variety Little Potatoes, which are highly nutritious, efficient to grow and good for the environment. So you can feel good about eating them! Try: Any of your best potato recipes or ours. WHAT WINTER FOOD TRENDS HAVE YOU NOTICED? WHICH DO YOU LIKE AND WHICH DON’T YOU LIKE? WE’D LOVE TO HEAR FROM YOU.